There’s an old story about a group of monks living with their master in a Tibetan monastery. Their lives were disciplined and dedicated, and the atmosphere in which they lived harmonious and peaceful. People from villages far and wide flocked to the monastery to bask in the warmth of such a loving spiritual environment. Then one day the master departed his earthly form. At first the monks continued on as they had in the past, but after a time, the discipline and devotion that had been hallmarks of their daily routine slackened. The number of villagers coming through the doors each day began to drop, and little by little, the monastery fell into a state of disrepair. Soon the monks were bickering among themselves, some pointing fingers of blame, others filled with guilt. The energy within the monastery walls crackled with animosity. Finally, the senior monk could take it no longer. Hearing that a spiritual master lived as a hermit two days walk away, the monk wasted no time in seeking him out. Finding the master in his forest hermitage, the monk told him of the sad state the monastery had fallen into and asked his advice. The master smiled. “There is one living among you who is the incarnation of God. Because he is being disrespected by those around him, he will not show himself, and the monastery will remain in disrepair.” With those words spoken, the master fell silent and would say no more. All the way back to the monastery, the monk wondered which of his brothers might be the Incarnated One. Reaching the monastery, he immediately told his brothers what the master had said and all were just as astonished as he had been to learn the Divine was living among them. Since each knew it was not himself who was God Incarnate, each began to study his brothers carefully, all trying to determine who among them was the Holy One. But all any of them could see were the faults and failings of the others. If God was in their midst, he was doing a fine job of hiding himself. Finding the Incarnated One among such rubble would be difficult, indeed. After much discussion, it was finally decided that they would all make an effort to be kind and loving toward each another, treating all with the respect and honor one would naturally give to the Incarnated One. If God insisted on remaining hidden, then they had no recourse but to treat each monk as if he were the Holy One. Each so concentrated on seeing God in the other that soon their hearts filled with such love for one another the chains of negativity that held them bound fell away. As time passed, they began seeing God not just in each other, but in every one and everything. Days were spent in joyful reverence, rejoicing in His Holy Presence. The monastery radiated this joy like a beacon and soon the villagers returned, streaming through the doors as they had before, seeking to be touched by the love and devotion present there. It was some time later that the senior monk decided to pay the master another visit to thank him for the secret he had revealed. “Did you discover the identity of the Incarnated One?” the master asked. Just imagine how our lives would change if we did as the monks did and treated everyone and everything as if we were in the presence of God. If instead of finding fault, we chose to find God, it wouldn’t be long before our perception of others would be so completely changed that finding any fault at all would be foreign to our behavior. If we treated everyone in our lives with as much reverence and respect as would naturally be reserved for God, it wouldn’t be long before we felt God’s presence everywhere, in everyone and in everything. Like the monks, our days would be filled with awe and splendor. Many years ago, a couple that my husband and I considered friends became very angry with us because of something over which we felt we had no control. As the years passed, their animosity toward us continued and eventually our relationship deteriorated to one of tight-lipped nods in public or total avoidance otherwise. In short, we became enemies. Years later I began a study of spirituality and in the process of learning, committed myself to suspending judgment and offering unconditional love to every one and every situation. Though I didn’t always succeed, I did make a daily effort and was amazed at how quickly aspects of my life began to change. Almost immediately, those things I’d once judged as being inharmonious with my environment began blending in beautifully. That which I’d once seen as harsh and foreboding now appeared warm and comforting. The more I stopped noticing faults in others and began focusing on the things about each person I truly appreciated, the more I noticed I was feeling different about myself, too. I felt lighter and freer, as if the judgment I’d been carrying for a lifetime was a heavy burden that had been lifted. Of course, a great deal of the time, I stumbled. More often than not, I’d find myself knee-deep in judgment before I even realized what I was doing. But the trend of my thinking was definitely shifting. And as it did, my life shifted, too, the same way the image in a mirror shifts with every nuance of change in that which it reflects. 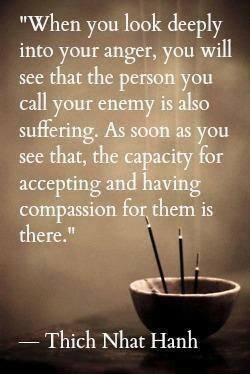 After a while, I also began using this non-judgment approach to deal with painful hurts and resentments from the past. Whenever the couple I mentioned earlier came to mind, for instance, I would envision them surrounded by golden light and then release my relationship with them to the Highest Good. This wasn’t a daily practice, by any means, just a mini-meditation I applied whenever an old grudge or pain came to mind. Several more years passed and then one day while attending the funeral service of a mutual friend, I saw them again. They were standing on the church steps not ten feet away and the beauty radiating from them took my breath away. I could actually see an aura of golden light surrounding their bodies, just as I’d seen in my imagination whenever they’d come to mind. Tears of joy sprung to my eyes and my entire being filled with awe and wonder. I wasn’t looking at old enemies, I realized. I was looking into the heart of God. I was looking at the physical manifestation of unconditional love. Love is what we see when we choose to find God rather than fault. Sometimes we get so caught up in our daily doings we forget that finding love is a better choice. But like the monks, we are always free to choose again. It is entirely up to us. We can choose to express understanding instead of animosity, joy instead of sorrow, and love instead of hate. And as we do our lives will change accordingly. When called upon to define love, writer Gertrude Stein answered, “Love is.” How beautifully simple and complete. Love is. It is the sum and substance of the universe, that of which all things are made. It is the power the propels us, the light that shines within us and the glue that binds us. 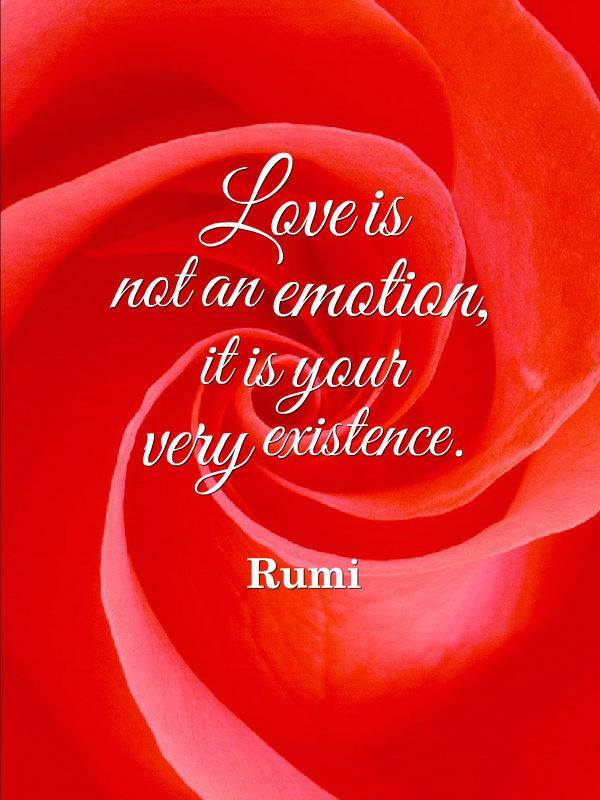 Love is not something we do or feel. It is what, by our very nature, we are. Accepting God as infinite love enables us to feel worthy and deserving of the very best life has to offer. We are able to live more abundantly, because we feel deserving of living that way. When we expand our awareness of love, we begin to recognize the infinite possibilities all around us. Our perception of life changes and we no longer feel bound by old limitations. Love erases the barriers to our good, removing every nuance of unworthiness and wiping away those beliefs that previously held us bound. Love throws open the doors to our good. Every aspect of our life improves. When we do all things in love we naturally feel more relaxed and at ease, free from stress and tension. We don’t have to “look over our shoulders” any longer. Love sown will reward us with love reaped, and knowing that, we begin to expect our good, and accordingly, it flows to us. Worries and fears dissolve. We feel blessed and at peace and in harmony with the Universe. Our lives take on new joy, and we greet each day with anticipation and gratitude. In addition, science is now in agreement with what philosophers have always said: We are all one. That means, of course, that when we offer pure love to others, without judgment, not only do we change our lives for the better, we change the entire world. Some pretty good reason to love more, don’t you think?